Lifting your truck, sport utility vehicle, jeep, etc. a few inches can really help in certain situations like off-road trails and can add a unique and appealing look to your vehicle. Giving your truck a small lift can help improve performance and power. Lifting your vehicle will allow you more flexibility in what you do with your vehicle. Not only can you drive on the highway like every other vehicle, a lift kit can help your vehicle perform better when driving through mud, sand and water. A suspension lift kit can raise the clearance allowing for steeper ascent or descent off road. Lift kits also allow for larger tire fitments. 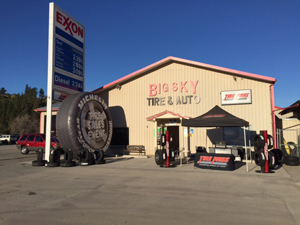 Come see the lift kit experts at Big Sky Tire Pros today!